The impact of Shani graha may cause health issues, fears from enemies, thieves, animals and ghosts. To reduce the ‘vakra drishti’ of Shani Graha, Shani Shanthi is performed. During Saade saati, a person is believed to lose his charm, self-confidence, health and wealth. 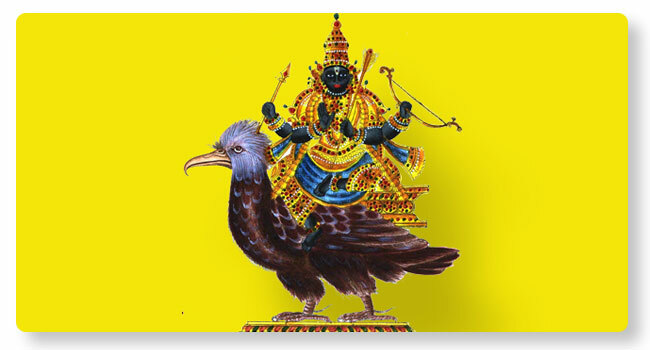 Shani Shanthi is the most recommended puja for person with such a horoscope. Sri Brahmi Jyothishyalaya at Kamalashile offers Shani Shanthi. This detailed puja is believed to reduce the ‘vakra drishti’ of Shani graha. Performing Shani Shanthi at a Shakthi Kshetra will bring better results. A special darshan and prasadams of Goddess Shri Brahmi Durgaparameshwari at Kamalashile will make you feel blessed.